Nurse looking for a vein…I hate this part! was not a happy camper to learn that they’d have to redo the stick. They did manage to go ahead and insert the IV, which a marvelous doctor had also done on his first attempt. Though Drew was twice as upset at our broken promise of “no more ouchies” after his first stick, we squeaked out a giggle when Drew screamed, at the top of his lungs, “GET THAT SHOT OUTTA ME!” He was equally upset about the bandages and tape to prevent the IV from loosening which I took to be a very bad indication of the road ahead. We chatted with a nice family in the bed next to us while Drew slept. Their daughter, Miranda – 16 months, was also having surgery with Dr. Paley to make some corrections to her right leg (her only ailment.) I felt for the poor mother who empathetically cried along with me as they were drawing blood from Drew the first time. Even as strangers, seeing another child in pain and knowing that we are all in this boat together can be painful and emotional. Drew slept while we learned a little bit about each other’s stories. It helped pass the time. The nice nurses kept us updated as how we were coming along. 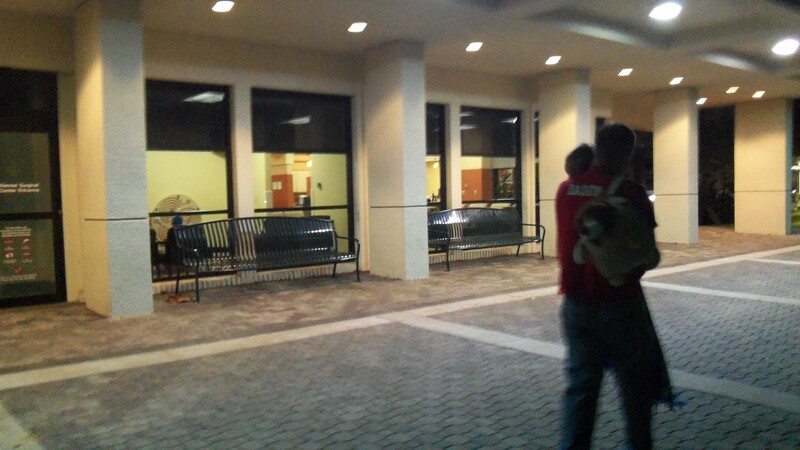 They were collecting CBCs, platelet counts, consulting with surgical staff, dotting the i’s and crossing the t’s. We were hoping that his platelet count would be high enough not to have a transfusion. After all, just two weeks ago his count was 116,000 (Dr. Paley wanted it above 90 – 100K). Drew’s average over the last year’s 2-3 checks were 75-90K. (Ours would be above 150K – 200K to let you know what is normal) But, we knew the likelihood was minimal due to Drew’s ear infection (infections can cause a drop in platelets.) Before hearing the final count I wondered out loud to Nathan, “What if his platelets are 88K…would that be ‘close enough’ or is 90K a strict requirement?” Well, lo and behold, his platelets are 88K. Whodathunk? Well, I got my answer: they were going to transfuse. Luckily, they could do it through his IV and they were going to do it once he was asleep for surgery anyway. It’s been such a long time since his last transfusion: during open heart surgery in 2009. If it weren’t for that dang infection! I had been dreading the moment that they would take Drew from our arms behind two swinging doors as Drew hollered and reached for us. We had talked to Drew about what was going to happen not wanting to lie to him or surprise him in any way. He was very distraught that we would be left behind. But, I was excited to learn that one of us would actually get to walk him to the OR and hold him as he went to sleep. Well, I did carry this child for 9 months and of course I was going to pull that card should it come to pass. But, Nate was a gentlemen and volunteered to let me take him back. I carried him back in surgical garb to prevent from contaminating the room or it’s contents and he screamed the whole way, “I’m scared! I’m scared!” I couldn’t even offer any comfort as he was so loud and quick that I couldn’t get a word in edgewise. If I thought he was hysterical going into the OR and seeing the bright lights and the alien staff with their green robes and weird masks, when they reached for his IV to give him some medicine, he really flipped a switch. I was actually really calm and un-emotional the whole time. I had been quietly chanting to myself, “You can’t cry in front of Drew. You can’t cry in front of Drew. You can’t cry in front of Drew.” Well, he was hollering and screaming full force and within 4 seconds of them pushing the white medicine through his IV, his eyes slowly squeezed shut, his entire body relaxed and he was snoring. I actually laughed because it struck me as so funny that he was so hysterical and – SNAP! – asleep! I kissed him goodbye and walked out. That’s when I fell apart. It took me a few minutes to regain my composure, but I did manage to share the humor of Drew falling asleep mid-cry. Off to the waiting room. And we waited. And waited. And waited. We knew there was going to be about a 45-60 minute wait to actually begin the surgery as they did all the prep leading up to the surgery (the blood transfusion, an EKG and others). So when they came out for an update 60 minutes later, we were less than thrilled to hear that surgery was still 30-45 minutes from starting. We got started late even taking him back to the OR (his surgery was scheduled for 8:30…we didn’t even get to the OR until probably about 9:30). I was extremely concerned about the central line they were planning on putting in because during Drew’s open heart surgery in 2009, it took them 2.5 hours of the planned 5-7 hour procedure to insert that central line to even get started. I was afraid of a repeat. There was some difficulty, but they were able to get it in much quicker. We waited anxiously for updates. We slept some of the time. Read other times. Ate terrible junk food as well. We waited and waited. And waited. Then we felt like jackasses when, during a discussion with a nearby family about each of our sons’ surgeries, we learned that this young boy’s surgery was 6 hours. It made our 1-2 hour surgery pale in comparison. We got updates, but nothing really substantial. “Surgery is going great.” “Drew is fine and everything is going as expected.” We had gotten a very vague update, “Turns out that Dr. Paley didn’t have to do as much as he thought he was going to have to do!” But beyond that, that’s all she knew. WTF was that supposed to mean, we wondered? We were especially intrigued. Everytime the assistant or nurse came through the door, to us, it was with intentions that surgery was done and Drew was on his way up to Intensive Care. But we got many updates, “Almost done.” “Dr. Paley is very happy with how things are going and will be coming to speak to you as soon as he’s done.” Ugh! The wait! We were told the first incision was at 11:22 EST and it’s been three hours for a procedure we were told was going to last 1-2. It was a nightmare! Finally, 3:30 EST, surgery is done and Drew’s on his way up to the PICU (pediatric intensive care unit). But, if we thought the wait during the surgery was excruciating, we were mistaken. Drew had 1 hour of recovery time then approximately 1 hour until he awoke from sedation before we were allowed to see him. 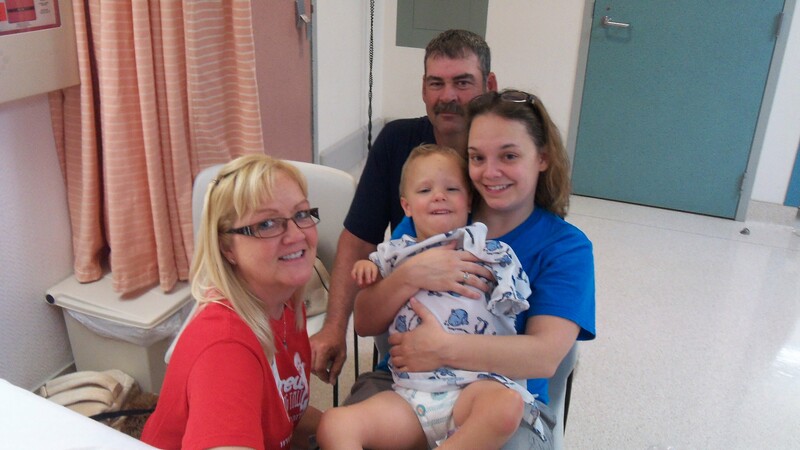 Miranda was out of surgery shortly before Drew was and they called her parents back to PICU one at a time. I was very concerned about this. I couldn’t possibly go one more minute without seeing Drew and I had gotten to take Drew back to the OR so I would be disqualified from this privilege by default. Ugh!! So unfair! Finally, Dr. Paley comes out and gives us the rundown of the surgery. He performed what’s called an osteotomy right above his ankle which means he sawed through the tibia and fibula in order to break the bones as the first step to correct the internal rotation below Drew’s knees. Turns out that Drew’s upper leg doesn’t have the external rotation that was originally thought so it wasn’t necessary to perform the osteotomy on his femur which meant a smaller version of the external fixation device was required. See boys, bigger is not always better! We saw the familiar blond short-haired assistant that had been visiting us sweep through the door to the waiting room and my excitement with each visit increased towards the end of Drew’s surgery anticipating our reunion. But, it was more disappointment as we were taken to a different waiting room. OK, we are one step closer to seeing Drew, but until he’s in my arms I’m not going to be happy. Nathan and I are suspiciously eyeballing each other thinking the other is going to launch a surprise attack in order to eliminate competition in seeing Drew first. We finally let our guard down when we learn we get to go back together. w00t! I was just about walking on top of this nurse as she escorted us back to Drew’s room. We finally arrive and get our first look at Drew since 9:30 am this morning. Getting to hold his hand is such a relief. 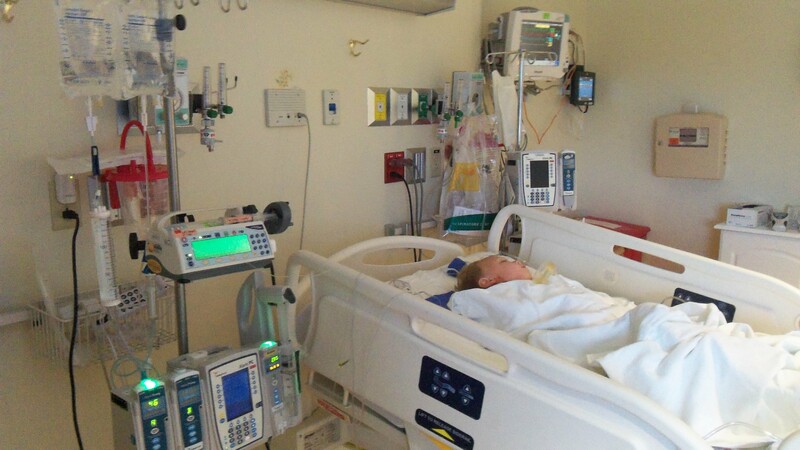 The PICU nurse tells us all about the monitors and cords leading in and out of Drew. Then she asks us if we want to see the external fixation device. Uh….YEAH! She lifts the blanket off his right leg and what I can only describe as a medieval torture like device encapsulates his legs. It starts right above his ankle and goes just a couple of inches past his knee with a bar that is drilled into what I guess is the top of his femur. I guess in someway, it is a torture device as it has all of these “arms” that connect the three rings that encircle his calf that will be twisted slowly on a daily basis to correct the rotation and extend his leg into a straight position. It looks ghastly. Bandages are soaked with his blood. His leg is a dirty yellow from all of the iodine. His skin is impaled with dozens of pins. It’s not pretty. OY! is all I can think. Drew stirs and tries to talk to us but his throat is irritated from intubation so his voice is raspy, weak, whispery and strenuous. His mouth is very, very dry just from looking at it and he continuously desperately searches his mouth for a source of moisture by licking and sucking on his bottom lip. His mouth appears so dry that I actually think that he’s having trouble breathing. It was like he couldn’t get a breath past his throat, like he sucked in air but his throat, so dry from anesthesia and the tubes, were glued shut. I was reassured this was normal, his oxygen was fine and he was breathing normally. Drew tried to talk to us, but he was just so pitiful. Desperate for something to drink. We were finally allowed to give him drops of apple juice by a spoon which he just gobbled up like he’d been stranded at sea for three weeks. He objected to pretty much everything attached to his body, but they were managing his pain with medication pretty well so he didn’t complain too much about that. He would occasionally say “it hurts” or he’d move and realize something was extremely different and say, “get it off.” Of course, he said it in a little mouse voice and it was both so sad and so cute. It’s the end of the night and Nathan is staying with Drew for the first night. I came back to the apartment with Yaya and Grandad and will return in the morning. I sure hope Nathan is able to get some sleep tonight. When Drew is fully alert tomorrow, we are both going to need our patience and wits! I can’t imagine what you are going thru. Stacy and I both love Drew and have been waiting for updates also. Tell Drew that we love him and are waiting for him to come home. His toys are waiting for him. Lord do pray that every thing turns out awesome and god has blessed u with a awesome little man I’m so proud to know that this little man is getting what every one has been prayen for. Hope for a speedy recovery and praying that god puts his hands on u little drew and and the staff do what ever they have to do to this cutie pie to get him ready up and going god bless u and hoping to see more updates and a beautiful smile on that face. 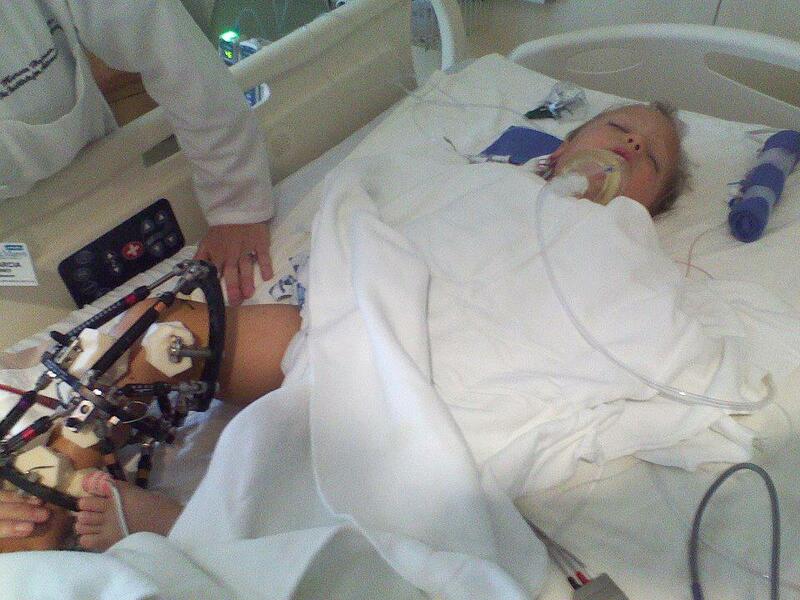 Well, today marks the one-year anniversary of Drew’s first leg surgery. It has been a long year. Drew has had 5 surgeries, over 60 x-rays, five broken bones (one un-intentionally), estimated 218 physical therapy sessions, 25 weeks of painful adjustments, 3 casts, 1 brace, countless IVs, blood draws and needle pokes, about 25 doctor appointments, and probably a ton of other things that I’ve blocked out or don’t have the patience to count. It’s surreal reading the first post about Drew’s corrective leg surgeries and looking at the pictures in awe of what has happened since since May 1, 2012. There were times – numerous times – that I was unsure we’d make it to this point. It seemed unreachable. It seemed as if there was no end to this terrible experience. Drew has changed so much just in the last 12 months. We have changed so much in the last 12 months. I’m so relieved to be about a month away from what I expect to be his final leg surgery. 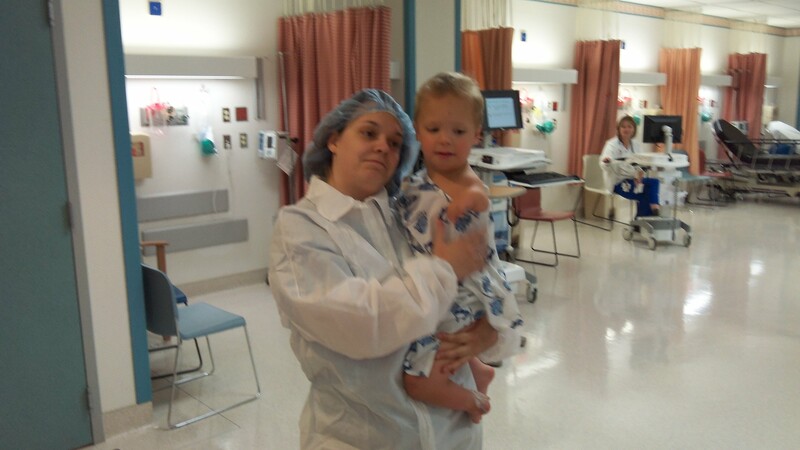 Below is the first post documenting Drew’s First Surgery.